Taking great "people pictures" isnt a matter of luck. Here’s how to work with lighting, location, angle, composition, physical characteristics, environment, and countless other variables. 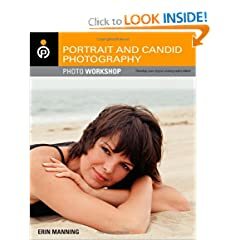 Learn to capture facial expressions, tell a story with a series of candids, add interest to large-group shots, and more. Test your newfound skills by completing the assignments at the end of each chapter and collecting feedback on your work.